Open Volleyball Stat and go to the File tab. Tap on "From URL" in the lower right. A popup will appear. If you got the URL into the clipboard, that URL will be in the grey field in the center of the popup. Otherwise, enter the URL in the grey field. 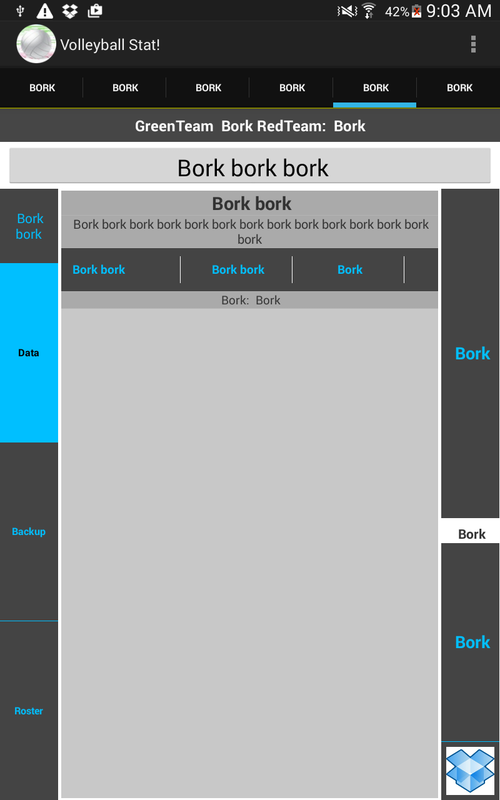 This language complements the Bork button set. With both installed and in use, you interface is pretty much completely borked.